Duplicate contacts remover for Windows Phone. Delete duplicate Contacts from Windows Phone. Duplicate removal service for People Hub Contacts with multiple accounts. “ What a simple but comprehensive product. I've been looking for something like this for ages. Thanks for developing, one happy customer. Tool to remove duplicate contacts. Mergix is a semi-automated deduplication and time saving tool for Windows Phone. It lets you: search and delete duplicate contacts automatically, choose manually from similar contacts what to merge, and remove junk in one tap. Keep your People Hub organized. 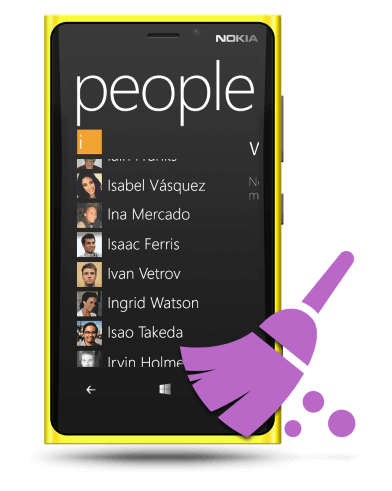 Mergix is a complete solution for organized People Hub Contacts for Windows Phone users. By syncing duplicate and merged contacts across connected accounts, Mergix makes linking multiple profiles simpler. 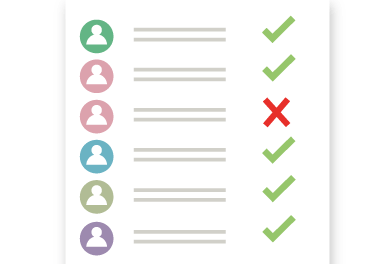 Linked contacts will look cleaner with no fields’ (phone, email, address, etc…) duplications*. Mergix is online duplicate contacts management tool. Clean address book of your device by cleaning contact lists of services you use. Mergix have three different subscription plans. You can choose from one day pass to the best value yearly subscription. Compare Mergix features with other similar tools. Find out why Mergix is the best in market duplicate contacts management solution. Keep me posted on the latest news Please enter a valid email address. Sorry, something went wrong we couldn't subscribe you. The entered e-mail is already on the subscriber list. Thank you for subscribing to Mergix news!